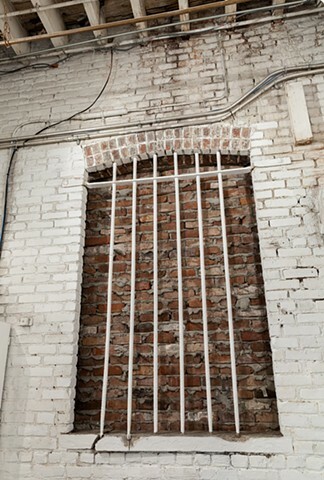 An industrial warehouse in Bushwick Brooklyn, 299 Meserole St. has an important architectural feature: many years ago, a former exterior window had been bricked-over for building expansion. 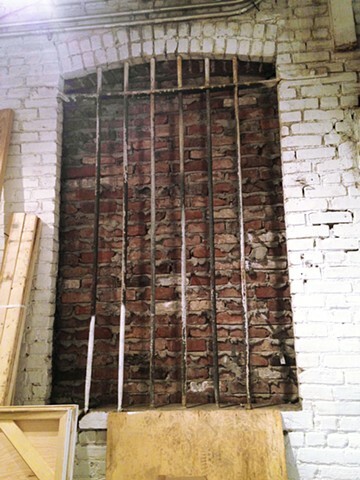 This window frame is now embedded in an interior wall of the building. 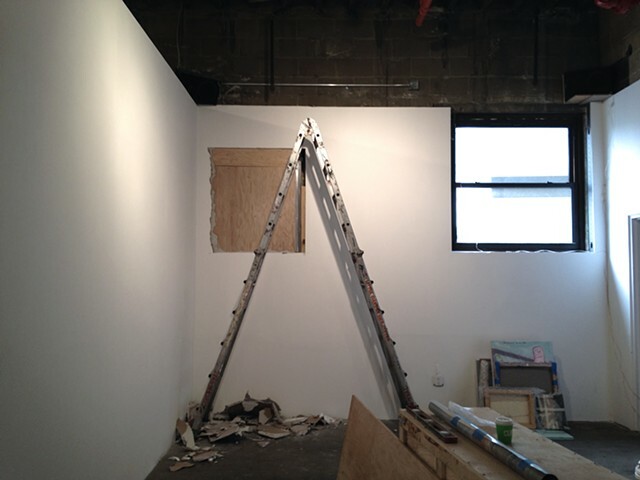 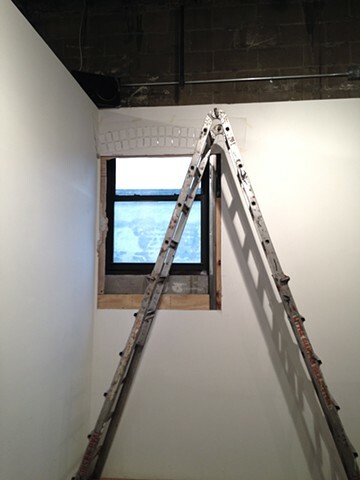 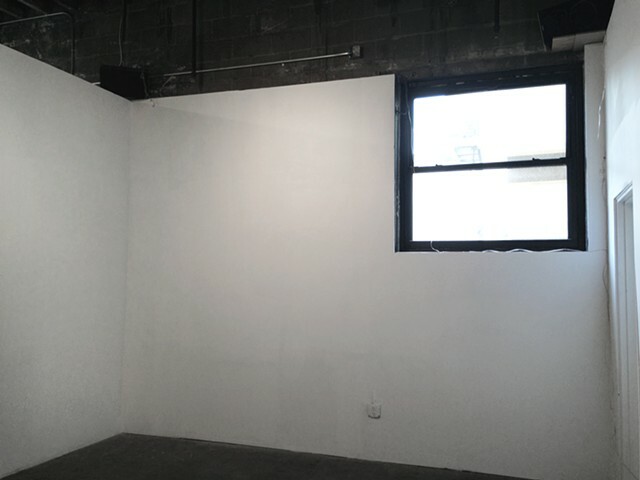 More recently, with the conversion of the space from industrial warehouse to gallery, another window was covered over. 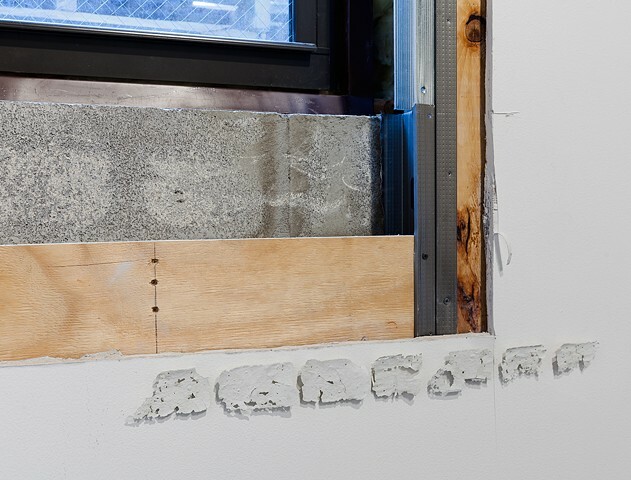 This installation was meant to highlight the history of the space --and compare how the older history of building alterations resembles the newer. 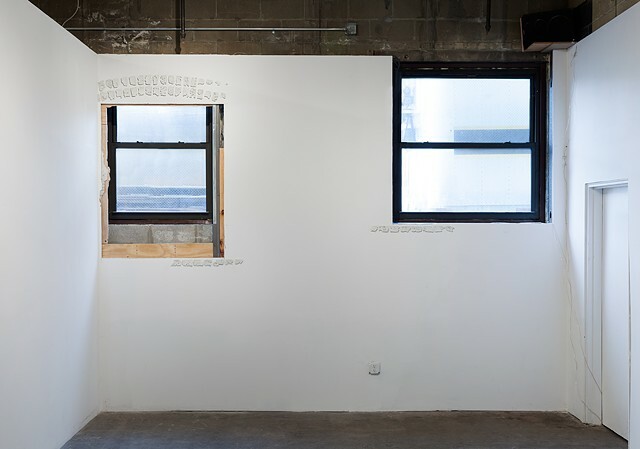 This history of alterations and changing uses is symbolic of the larger changes relating to real estate, building use, and gentrification taking place in Brooklyn and other US cities. 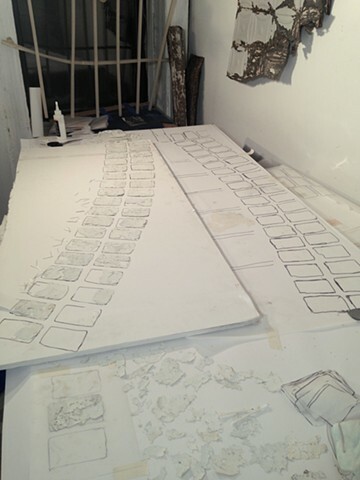 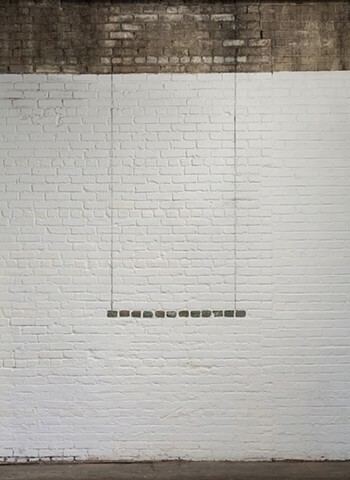 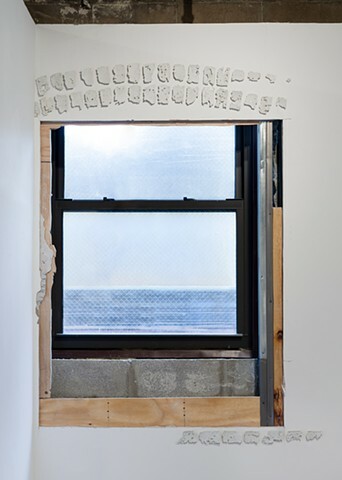 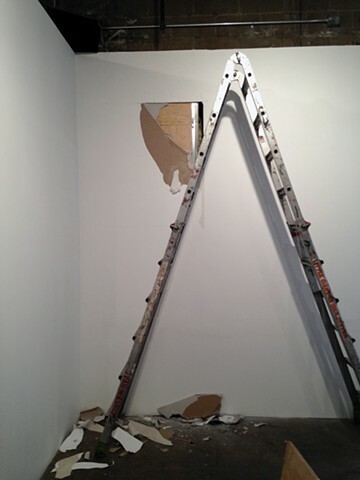 To create this installation, I cut open the gallery wall to reveal the covered-over exterior gallery window. 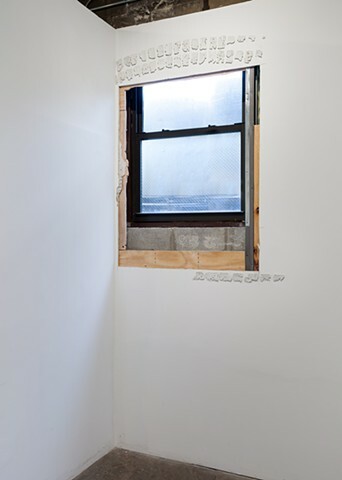 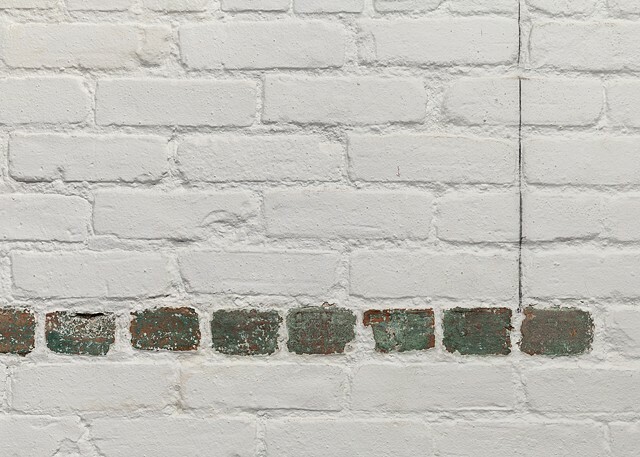 I also scraped paint from the old window's arched lintel, and adhered it to the wall around the newly created aperture to highlight the similar histories.